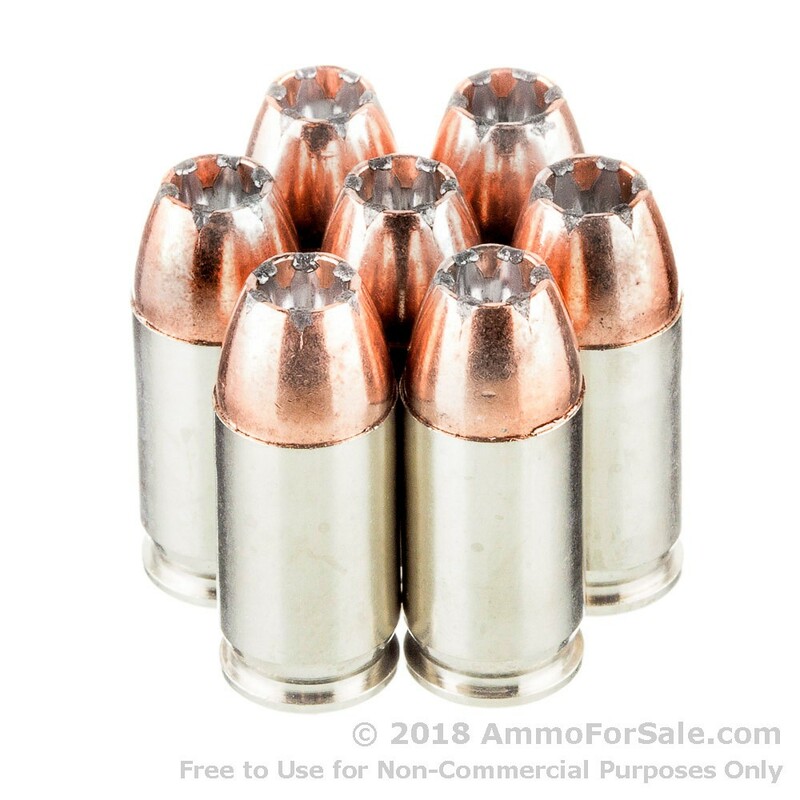 Speer ammo as a company was founded by Vernon Speer, a U.S. Navy veteran known for his innovation and talent for design long before he entered the world of firearms and ammunition. When he was 21 he designed a new airplane engine, and to prove how well it worked he simply hopped in the plane and took off. The engine worked just fine, and Speer’s innovation was just getting started. He founded Speer Bullets in 1944, starting out in the corner of a grocery store until the little company grew to the point where it needed far more space. That’s when he purchased the plant in Lewiston, Idaho, on the bank of the Snake River, and that’s where Speer stands today. 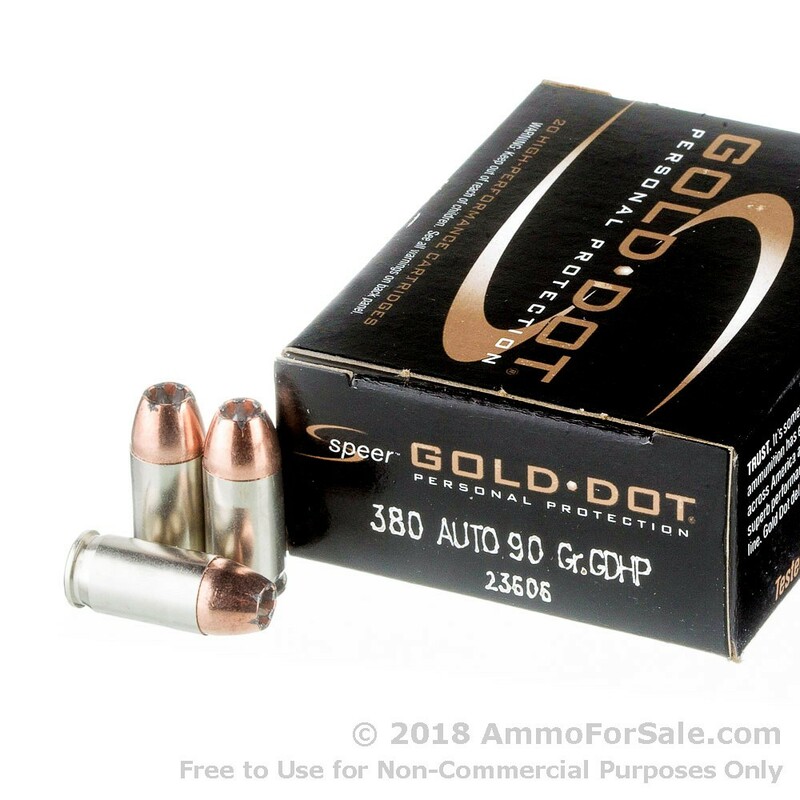 At 90 grain these are fairly lightweight rounds, but they’re within the standard weight range for the .380 ACP. They’re JHP’s, so they begin to expand immediately upon impact, but their jacketing controls expansion for greater penetration. The jackets also substantially increase overall bullet strength and decrease lead fouling in your gun’s barrel. 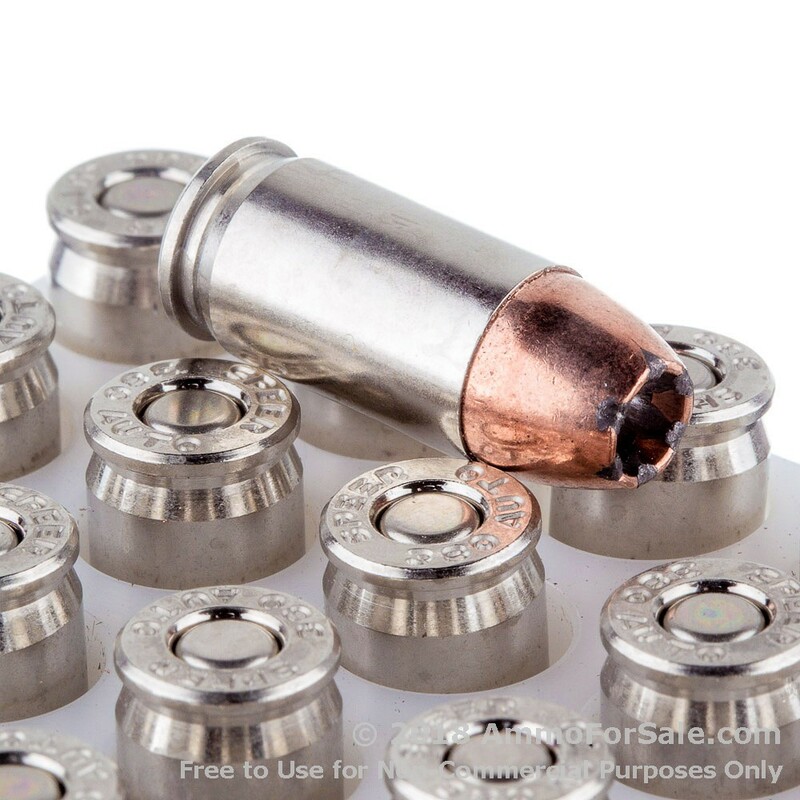 These are Speer Gold Dot rounds and are specifically designed for self-defense. In fact, numerous members of law enforcement trust none other than Gold Dot to keep them safe. Each round has a muzzle velocity of 990 feet per second and muzzle energy of 196 foot-pounds. In order for your .380 ACP to perform to its fullest, it needs to be loaded with high-quality defense rounds, and Speer Gold Dot rounds are top-of-the-line. You get 20 defense rounds in this box of ammunition. Speer manufactures all their ammunition at their Lewiston, Idaho, plant and each and every round must meet their strict standards to leave the factory. Everything about this ammunition is done with your safety in mind, from the nickel plating on the brass cases, which makes the rounds easier to see in dim lighting, to its superior weight retention. Weight retention is maintained by bonding the jacket to the core so the round stays effective even after penetrating heavy clothing or glass. Be ready for whatever may come with Speer Gold Dot.